Pappas Brings Upscale Barbecue to Webster with Delta Blues Smokehouse, 19901 Gulf Freeway: Pappas Restaurants is opening Delta Blues Smokehouse—a high-end barbecue restaurant that represents a brand-new concept for the company—on November 1. The restaurant is serving elevated barbecue—brisket from Creekstone Farms and USDA Prime ribeye—in a table-service setting complete with wine, beer and cocktails. 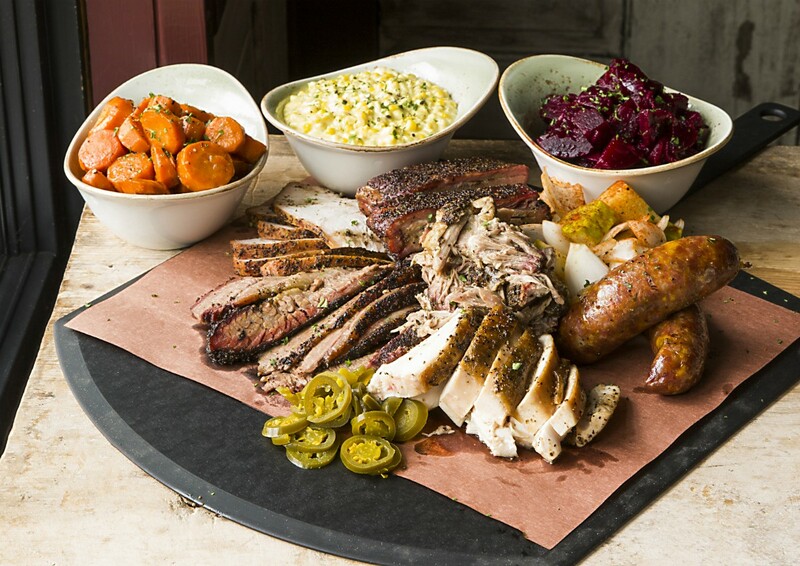 Described as “Southern classic meets sophisticated barbecue,” the new restaurant will offer southern favorites and an extensive drink menu with a focus on beer, American whiskey and cocktails.“This restaurant is really a new way to experience barbecue,” Pappas says. “When serving Prime Brisket, you can’t serve it on trays. Beautiful food should be served in a manner and environment that equals the food. That’s exactly what we’re trying to do with Delta Blues.” For more information, visit their website. Mandi Cocina Mexicana, 24179 Highway 249: A reader tipped us off to this new, upscale Mexican eatery that opened earlier this month in Tomball. The reader claims, “the food is comparable to what I’d expect to eat inside the  Loop.” If that’s the case, Tomball residents may be happy to have a top-notch option close to home. 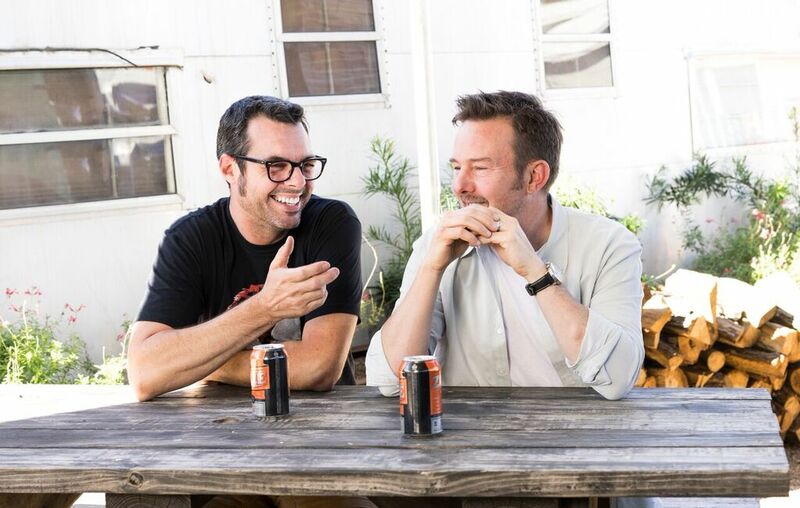 News from Austin: Aaron Franklin (left) and Tyson Cole (right) are opening an Asian-style smokehouse in 2018. Photo by Logan Crable. Carmelo’s Ristorante Italiano, 14795 Memorial: After serving the Houston community for 37 years, Carmelo Mauro has announced his restaurant is closing. The final meal will be the traditional Christmas Day brunch buffet on December 25. Mauro and his family released a statement saying, “Thank you for making us your favorite place to celebrate your daily moments and your special days. Thank you for the smiles, the joy, and the tears you shared with us. Thank you for choosing us to be a part of your life.” Diners still have time to enjoy their favorite authentic Italian dishes before saying “Arrivederci” for good. Truffles, caviar and other upscale ingredients can now be delivered from DR Delicacy via UberEats. It’s great to live in the future. Photo courtesy of DR Delicacy. White Truffles Have Arrived at Kata Robata, 3600 Kirby: It is officially white truffle season and the first shipment of these culinary diamonds have appeared. For at least the next month, Chef Manabu Horiuchi will have several specials that feature the precious ingredient. White truffle season in Italy usually lasts until the end of November, but both the limited amounts and the high expense means availability is unpredictable. Call the restaurant in advance at (713) 526-8858 of to make sure there’s a supply that day. Truffles & More Delivered To Your Door: Local luxury ingredient supplier DR Delicacy has teamed up with UberEATS. That means Houston foodies can now get caviar, truffles, foie gras, smoked salmon, gourmet fresh pastas, sauces and oils delivered, as well as a number of other truffle-based items. The service comes just in time for holiday entertaining. For more information on DR|Delicacy, visit their website. Wild about truffles? Also see the November 5 event below. Chopped Tuna at Seaside Poke. Photo by Kimberly Park. Seaside Poke, 2118 Lamar: Houston has got a World Series fever, and the only cure is to throw on some Astros gear and head to Seaside Poke. They’re slinging poke bowls for 25-percent off on game days. To get in on the deal, simply wear your Astros apparel when you place your order. Berry Agave Crêpe at Sweet Paris Crêperie & Café. Photo by Julie Soefer. 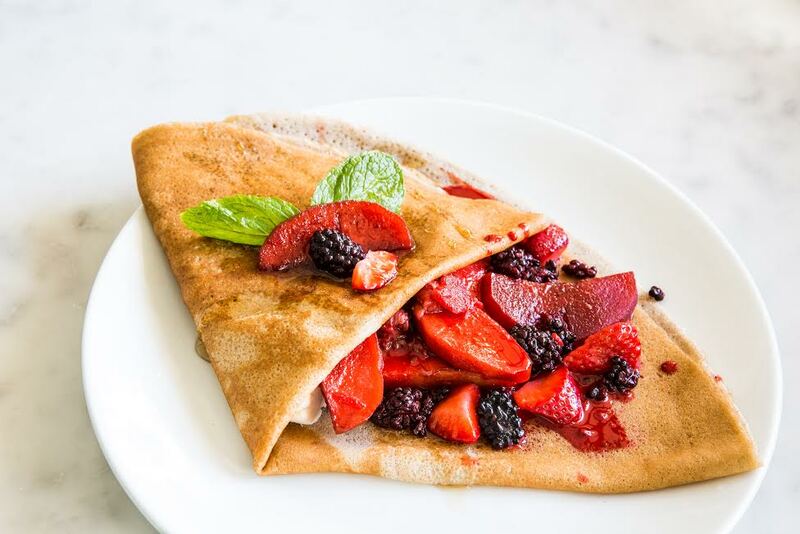 Sweet Paris Crêperie & Café, two locations: Indulge yourself—without guilt—with a sweet or savory vegan crêpe on World Vegan Day. The savory option is “The Vegan” with Portobello mushrooms, black bean puree, corn salsa and chipotle sauce; and the sweet selection is “Berry Agave” filled with apples caramelized in agave syrup, strawberries and blackberries. Each of these treats is less than $10. Second Annual Craft Beer & BBQ Festival at Hubbell & Hudson Kitchen, 4526 Research Forest: Only 125 tickets are available to the public for this festival, which is serving rare and exclusive beers from five craft breweries from 12 to 4 p.m. High-end barbecue will be sold separately at the event, including 45-day dry aged beef ribs and Akaushi Waygu brisket. Tickets are $45 (sold at the door), which scores not only the beer tastings but also a five-ounce commemorative glass. More information about this event can be found online. DR|Delicacy and Potente Present La Nuit du Caviar, 1515 Texas: Ease into the holiday season with an evening of indulgence and extravagance benefitting The Astros Foundation and The Astros Harvey Relief Fund on November 7 from 6:30 to 10 p.m. at Potente. 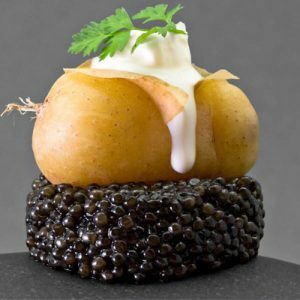 The La Nuit du Caviar event features domestic and imported caviars, autumn truffles from France and Italy, Champagne provided by Moët & Chandon, Dom Pérignon, vodka provided by Belvedere, and a special menu crafted by Danny Trace, executive chef at Potente. Tickets are $200 per person and may be purchased through Eventbrite. Etoile Cuisine et Bar Celebrates Five Years, 1101 Uptown Park: Celebrate five years of widely acclaimed cuisine with Philippe Verpiand (designated as a French master chef by Maître Cuisiniers de France) and his wife Monica Bui on November 7 at 6:30 p.m. The occasion will highlight wines from Domaine de Cristia carefully paired with a five-course dinner featuring an array of seafood, beef and pork. In addition, guests will receive a special keepsake from the evening as well as have an option to purchase a new cookbook featuring all the master chefs of France in the United States, including Verpiand. He will sign all books purchased; the price is $45 each. Dinner is $98 plus tax and gratuity. Reservations are required and can be made by calling (832) 668-5808. The 10th Annual Iron Sommelier at the Houstonian Hotel Club and Spa, 111 Post Oak: Read the full article on one of Houston’s best wine tasting, competition, and silent auction events of the year benefitting The Periwinkle Foundation. The event starts at 6 p.m. Individual tickets are $200 and on sale online. Fancy Cars, Food & Whiskey at Radio Milano, 800 Sorella Court: It’s a night of luxurious dining, drinking and automobiles from 6 to 9 p.m. The evening begins with test drives of the latest 2018 Lincoln models followed by an exclusive three-course dinner with guided whiskey tastings. Husband-and-wife chefs Adrian Delangel and Ana Amaya’s fall menu includes Butternut Squash Soup; Vegetarian Lasagna, with ricotta, parmesan, goat cheese, tomato and sliced eggplant caponata; and Pumpkin Spice Bread Pudding, complete with maple syrup, caramel glaze and cinnamon ice cream. 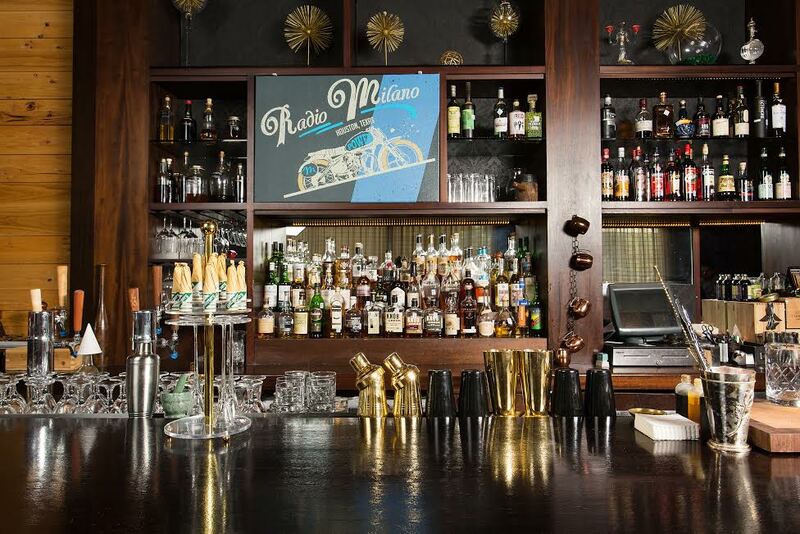 After dinner, attendees can participate in a premium whiskey tasting downstairs in Milano Bar. All of the limited-release brands are available by the ounce and can be enjoyed with a complimentary cigar. The three-course dinner is $35 plus $10 per whiskey pairing. Space is limited; RSVP at (713) 827-3545. Twenty-five percent of proceeds for the evening will be donated to Matthew McConaughey’s Just Keep Livin’ Foundation. Whisky Wednesday at Izakaya, 318 Bagby: Whisky lovers are in for a real treat on November 15 from 6 to 9 p.m. Izakaya is hosting Suntory, one of Japan’s oldest whisky makers, for an informal tasting class. For only $45 (plus gratuity and tax), participants can expect a flight of aged whiskies, a cocktail and small bites prepared by chef Jean Philippe Gaston. A representative from Suntory will also be on hand to answer questions and provide information about the whiskies and distilleries. For more information, call (713) 527-8988 or visit Izakaya’s website.